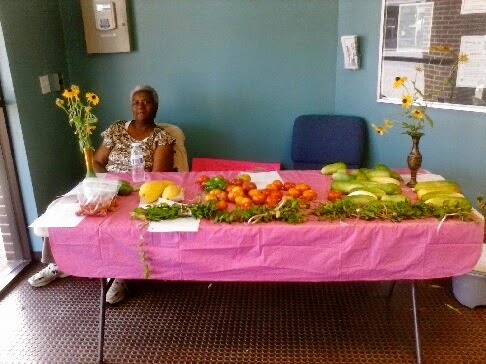 Community Partnerships bring a Farmers Market to Brooklyn/Curtis Bay! Not only has the weather been strange, but we've had a lot of changes at Filbert St. We have been lucky enough to host our first interns this summer, and we are maintaining a commitment to continue to select our garden interns from within our community, thanks to support from our friends at Chesapeake Center for Youth Development. In spite of all the craziness, 2 of our Gardeners have found the time to develop a wonderful partnership with "Drink at the Well". 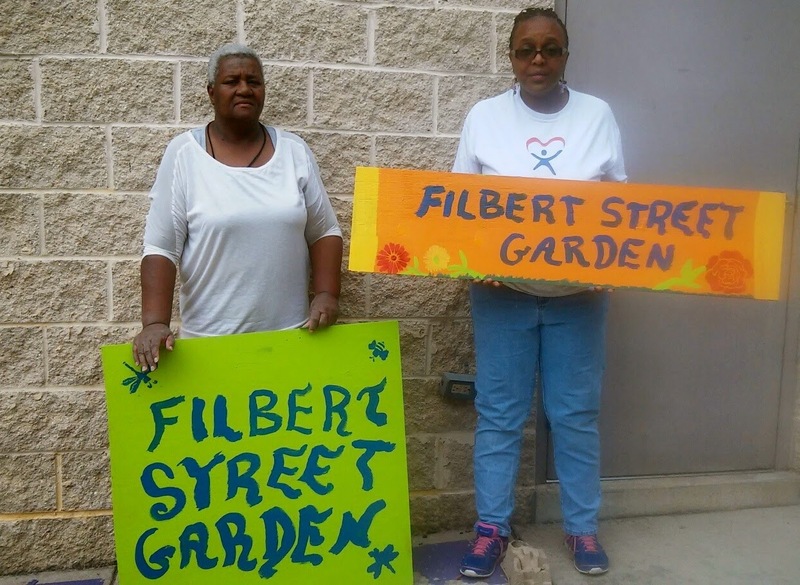 Each Thursday this summer our gardeners loaded up all the fresh produce they could carry from Filbert St. and took it to "Drink at the Well" to sell to neighbors. 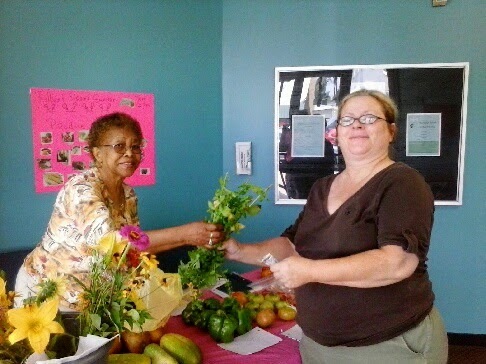 Besides accomplishing our mission of bringing fresh food from our garden to the community, we were also able to share resources, tell more people about the garden, and brainstorm with folks at "the Well" about how we can support both of our ongoing efforts in the future. What a way to close out the summer!